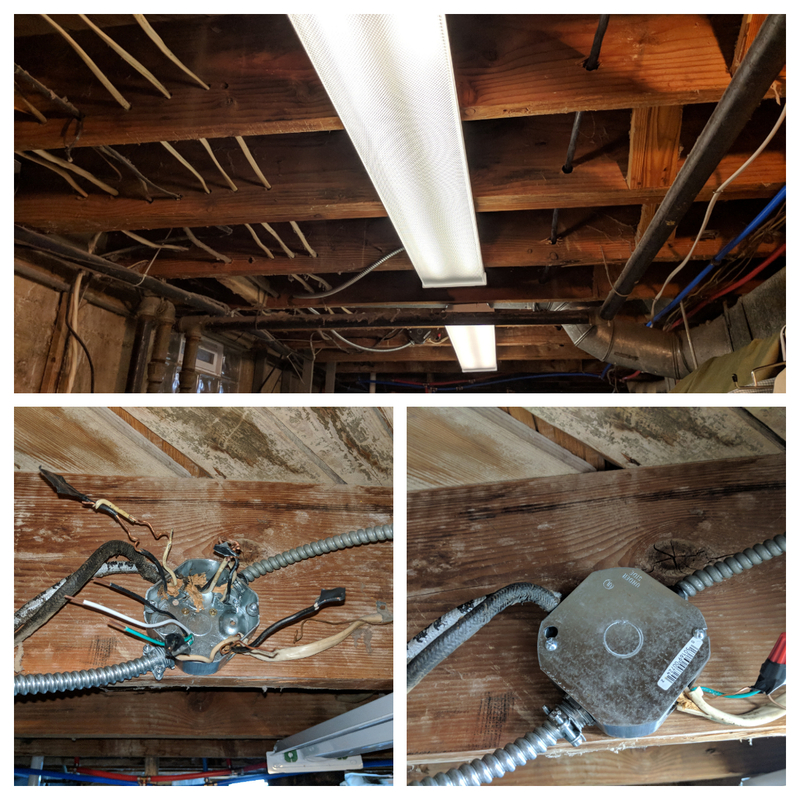 I was at the edge of my mechanical and electrical talents (and bravery) replacing three hanging florescent light fixtures with these flush mount LED updates. I even installed a new electrical box and figured out what wires needed to be connected together, although full disclosure requires me to say it took me an hour's puzzling to make that happen. We're very happy with results as the laundry room feels bigger, brighter and less cluttered.